Astronomy Science ~ A large radio telescope in Chile has captured the best image ever made of the formation of planets around distant stars. Spectacular view of planet formation take by telescope Atacama Large Millimeter / submillimeter Array (ALMA) in Chile shows the circular disk of dust and gas surrounding the star HL Tau, Sun-like star is about 450 light years from Earth in the constellation Taurus. "These features are almost certainly a result of the object as a young planet was formed in the disc," said deputy director of ALMA Stuartt Corder said in a statement. "This is surprising, because HL Tau aged not more than one million years old and the young star is not expected to have a large planetary object that is capable of producing structures that we see in this picture." Amazing detail in an image taken by surprise ALMA astronomers. "The first time I saw this picture, I thought it was just a simulation. 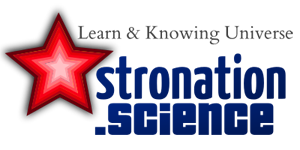 It was too good," said Tony Beasley, director of the National Radio Astronomy Observatory (NRAO) in Charlottesville, Virginia, said in a new video about the image of planet formation. 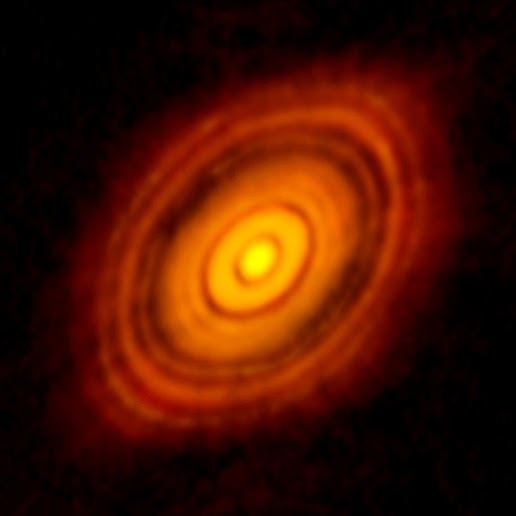 ALMA image shows the young star HL Tau and its protoplanetary disk. Although HL Tau is much smaller than the sun, the star disc spanned almost three times the distance of Neptune from the Sun. This new image is the sharpest picture taken by ALMA. In fact, the picture is sharper than most of the images were taken in visible light by Hubble. HL Tau veiled by dust and gas, making it difficult for the star observed in visible light. But ALMA is able to penetrate this veil, because the telescope is designed to look at the universe at wavelengths longer, in between radio waves and infrared on the electromagnetic spectrum. "This is really one of the most extraordinary images I've ever seen at these wavelengths," said NRAO astronomer Crystal Brogan. "The level of detail is so beautiful, even more impressive than many of the optical image. The fact that we can see planets are born will help us understand not only how planets are formed around other stars, but also the origin of our solar system."